My work is based on a collection of thoughts and influences such as architectural forms and images from the natural world. 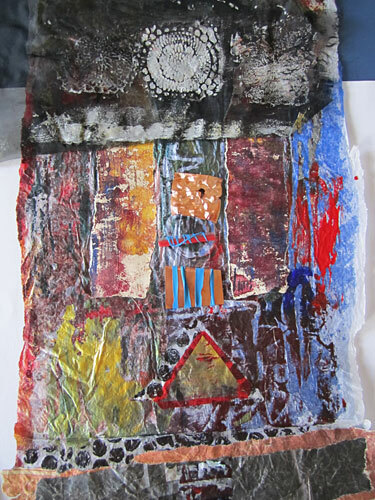 I am interested in including printmaking, collage and found objects within my textile pieces. 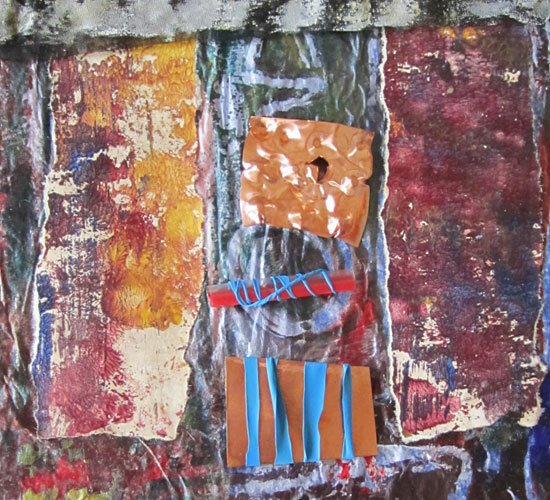 For this reason, I often prepare textured papers and fabrics which I then use as a palette to develop my ideas by building up layers of different surfaces. I tend to add stitching and perhaps pieces of metal shim to further embellish my work. Lately, I have become interested in including felt making within my textile pieces as well as working from more abstract themes.